Iran has fielded a variety of unusual weapons over the years: F-14 Tomcat fighters hotwired to fire Russian missiles, homemade mini-submarines, and remanufactured Cold War jets. In 2006, Iranian television showcased a peculiar sea-skimming flying boat, and four years later Tehran triumphantly announced it had three squadrons of them serving in the Iranian Revolutionary Guard Corps Navy. News commentators boasted it was one of the few countries to “design and produce such advanced flying boats,” which is technically true. The blue-painted Bavar-2 flying boats seen in this video are examples of Ground Effect Vehicles, also known as ekranoplans, sea skimmers, or Wing-In-Ground vehicles. Basically, these are designed to fly at very low altitudes by capitalizing on “ground effect,” the phenomenon in which wing surfaces encounter less drag the closer they are to the surface. After generating lift through speed during takeoff, GEVs can stay airborne as long as they remain within that low-altitude envelope. This makes them more applicable to maritime operations, where inconvenient mountains are scarce. The Soviets were the first to deploy functional GEVs in the 1970s and 1980s, including a few huge Lun-class ekranoplans weighing 400 tons that could lug huge carrier-killing cruise missiles, and an even larger prototype dubbed the Caspian Sea Monster. Iranian engineers took a very different tack with the Bavar-2. The small one- or two-man boats appear to be intended for scouting purposes. The little vehicles can skim meters above the surface at around a hundred knots (115 miles per hour). They are equipped with night-vision goggles, cameras and real-time datalinks. Armament comprises a single machine gun; missile- or rocket-launching capability has been claimed, but there’s little evidence of it so far. The little vehicles probably aren’t intended to strike the enemy directly, but instead would enable Iran’s asymmetric naval strategy to shut down the Strait of Hormuz in the event of a new conflict in the Persian Gulf. Tehran realizes its naval forces don’t have the survivability or firepower to slug it out with adversaries in a head-on engagement. Instead it would lean on the shallow, confining geography of the Persian Gulf and especially the chokepoint of the Strait — only 29 miles from shore-to-shore at its narrowest point — to launch swarming motorboat attacks, mini-submarine ambushes and long-range strikes with anti-ship missiles. Conveniently, the Bavar-2s have been deployed at Bandar Abbas, a naval base directly facing the straits. In service of the missile-attack gambit, the Bavar-2s (the name means “Belief” or “Confidence”) would skim ahead, acquire targeting data on enemy warships, and relay that information to speedy missile boats. Zulfikar-class fast patrol boats could then quickly dart into maximum firing range while traveling at 70 knots to launch their two Nasr-1 cruise missiles (domestic versions of the Chinese C-704), then run away to avoid retaliation. The Nasr-1 has a range of 21 miles and carries a 330-pound warhead. 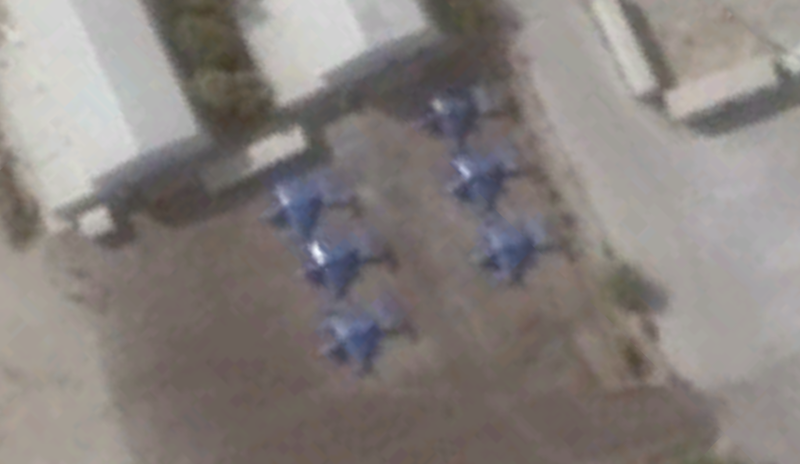 Iran has also boasted of “stealth features” for the Bavar-2. However, the piston pusher engine protruding above the design’s high-mounted wing hardly seem to have indiscrete radar cross sections, nor reduced infrared signatures. Nonetheless, the little vehicles can skim at very low altitudes to delay radar detection from warships — though for how long is open to debate. In any event, Tehran is apparently far from done with GEV vehicles. In 2015, Bellingcat published satellite photos of a new, eight-meter-long twin-engine GEV flying boat spotted at the Bostanu shipyard. Photos showed the vehicle deployed on water, but could not confirm whether it was even designed for military use. 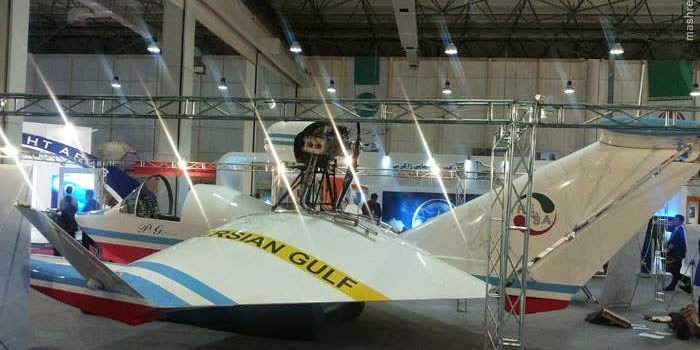 In October 2016, an article by the Tasnim news agency reported that an Iranian company showcased the first-ever unmanned GEV vehicle ever in an exhibition, though the article was promptly taken down after posting and the exhibitors refused to speak with media afterwards. A new prototype was pictured atop a lovely Persian carpet. According to the original article, however, the twin-engine combat-reconnaissance drone-GEV is set for mass production to serve in the Iranian Revolutionary Guard Corps Navy. It supposedly has a range over 600 miles, an operating altitude ranging from 1.6 to 3,000 feet above the surfaces, and comes with night-vision-capable sensors. The type has a maximum speed of 124 miles per hour and isn’t designed to carry missiles, but “can carry explosives and hit sea or ground targets” — which is likely to say it could serve as a kamikaze drone, though at that speed it may not prove very difficult for the point-defense weapons aboard Navy ships to knock it out of the sky. Interest in GEV appears to be experiencing a renaissance, with both China and Russia also considering new GEV designs; Iran’s development of unmanned GEV drones seems a logical progression for a system that would likely prove vulnerable to air-defense weapons. In any case, while Bavar and its ilk may not be the super stealthy missile-toting terrors boasted about by Tehran, they still could serve as useful force multipliers for its fast boat fleet, and are another example of the unconventional approaches adopted by Tehran to facilitate its asymmetric warfare strategy in the Persian Gulf.